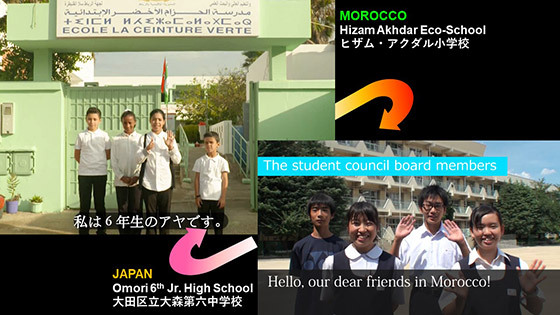 The Goi Peace Foundation of Japan and the Mohammed VI Foundation for Environmental Protection of Morocco, both Key Partners of the UNESCO Global Action Programme, are working in partnership to further their common goal of promoting environmental education, and education for peace and sustainable development particularly for young people. 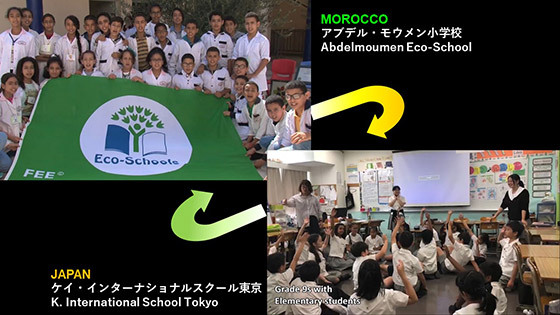 In the school twinning project launched in 2018, schools in Japan and Morocco worked together in pairs, exchanging their good practices through video letters and jointly celebrating special occasions such as the World Environment Day and the World Oceans Day. Students not only got to introduce their innovative environmental and community activities to their foreign peers, but also had a chance to learn about each other’s cultures and traditions conducive to sustainable living. 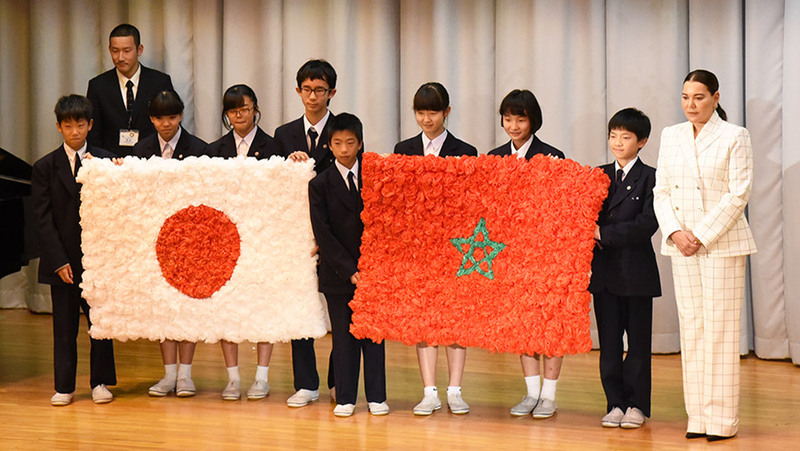 A highlight of this twinning project was the visit of HRH Princess Lalla Hasnaa, President of the Mohammed VI Foundation for Environmental Protection, to the Omori 6th Junior High School in Tokyo on 22 November 2018. The Omori School is an ASPnet member school awarded many times for its innovative and whole-school approach to ESD. It has been engaged in exchanges with the Hizam Akhdar Eco-School in Rabat, Morocco for the past several months. Her Royal Highness enjoyed a warm welcome from all the students and listened attentively to their presentations on their ESD activities, such as restoring biodiversity in a nearby park, maintaining green spaces in the community, reducing food losses from school lunch, and promoting world peace through music and arts. The two foundations intend to further their collaboration in 2019 by expanding the twinning project to include more schools in rural areas, as well as by sharing expertise to design new educational programs.